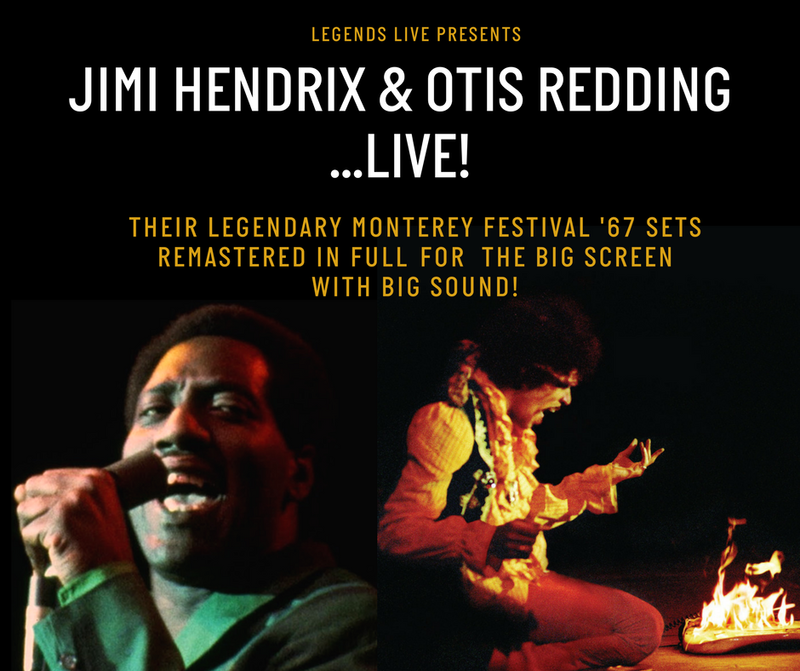 LEGENDS LIVE PRESENTS: JIMI HENDRIX & OTIS READING.. LIVE ON SCREEN! 50 years after the era-defining Monterey Pop Festival during the Summer Of Love, we step back in time and celebrate these two long-since-gone legends and their utterly incredible performances once again with an evening of immersive, psychedelic joy on Friday night at Grinagog! Presented on the big screen with big sound, we will show Jimi and Otis’ ENTIRE sets in remastered crystal sound (recorded on the Rolling Stones’ studio truck!) and digitally spruced from documentary maker D. A. Pennebaker’s original 35mm film. But this is no popcorn affair, this is a party and you have never experienced The Experience like this before. Time to turn back the clock... and TURN UP THE VOLUME!!! Do Bring: your finest billowing paisley shirts, dubious facial hair, bejeweled headbands, golden pants, Northern Soul and Mod clobber (this is the UK not San Fran, after all), tambs and guitars (jamming welcome), strong opinions about Hendrix b-sides. Don’t bring: Any secret stashes of cynicism. Any found will be confiscated and returned after the show.